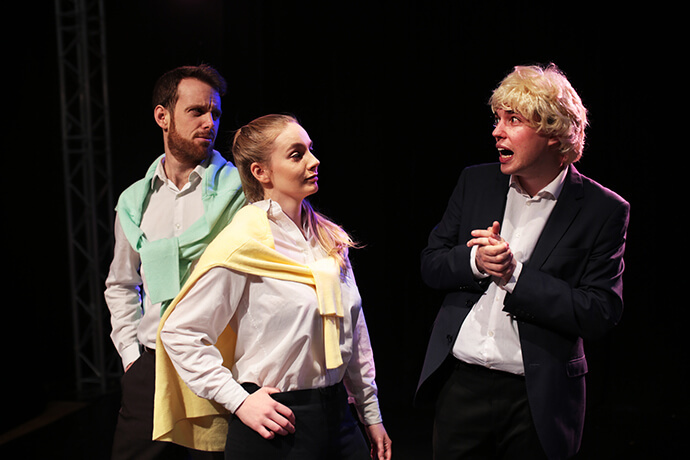 You’re never lacking for comedic material when it comes to Boris Johnson – much to the delight of Sheffield-based drama company Blowfish Theatre, who have returned to poke fun at the floppy-haired Etonian with Boris the Musical 2: Brexit Harder. 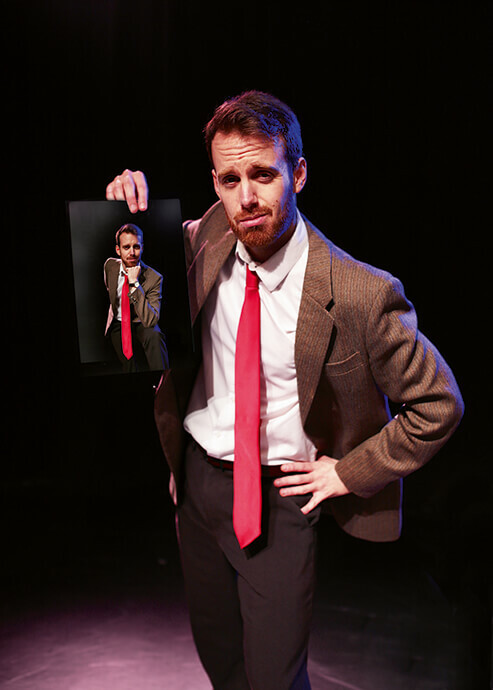 Melina Theodorou spoke to Blowfish artistic director and writer Laurence Peacock about what inspired part two, the difficulty of writing political satire in today’s climate and what they’re hoping to achieve this time around. How has the success of the first Boris the Musical affected Blowfish Theatre? It’s strange hearing someone refer to it as a success! I’m not sure if it has changed really. We started Boris the Musical by accident and just carried on. We are winging it really. We are just trying to make it bigger and better, or worse, depending on your outlook of the musical! It’s exciting to think on our success so far and work on making our productions better. How different was the process of producing the follow-up musical? Did you find it more challenging? It’s been really good fun making Boris the Musical 2. The process hasn’t been radically different, but we got more toys and are supported by Theatre Deli and Alphabetti Theatre Newcastle, which provide us with the rehearsal space. The process hasn’t really changed, so we carry on trying to make ourselves laugh and when we get a good feeling in the room then we know we have something. But I think we have definitely become more efficient. Dare I ask, what made you want to revisit Boris? Accumulative things I guess. We didn’t think the first musical would last six months and then we got distracted with the Trump musical. With the events building through 2018, and watching what was promised before the referendum turn into the harsh reality of what it has brought, we felt we had to go back. A lot has happened since the last play, and we couldn’t not do it. With the speed at which political events have been moving recently, have you had to change and update the content while writing it? Oh God, yes. It’s relentless, it’s awful! You’re always out of date even when it’s brand new! I am still writing the play and I need to write an ending but I’m waiting to see how events unfold. We try to be specific and broad at the same time, as time goes on you want the musical to retain its relevance and for people to recognise the events that it touches upon. The play is written in a way that we can change the ending but the first 90% of the show can remain the same. There’s a reason why a lot of people don’t do it [satire]. It’s a fools’ game really! But when people come to watch the show and are able to find the content relatable and enjoyable then it makes the work pay off. It’s definitely worth it when you get it right. What has Boris been up to since the last musical? What can audiences expect? They should expect a brand new show. We went back and revised the original one and pulled things out that were prominent so it will feel completely new. I think that as people have watched the consequences of Boris and his capabilities, and him not owning what he’s brought about, a lot of the tolerance has disappeared and that is reflected in the show; it has a much harsher tone. It is more of a reflection on the state of politics than anything else. What’s the hardest part of portraying Boris Johnson? Boris isn’t that difficult to portray as he has a prominent persona – he’s a bit of a gift, really. People feel like they know him, you don’t have to create him because people feel like they know the man and you get a huge head start. Our political satire doesn’t aspire to change anything, or make people angrier, or aware of the situation – we try to allow people to have a good cathartic laugh. The sheer amount of politics over the past years has increased, and the quality of it has become awful. We want to make people have a good laugh – it’s a state-of-the-world type of satire. Do you believe the play could be enjoyed by anyone, regardless of their personal politics? I think so. The first Boris the Musical was full of Boris-bashing, but the new show has more balance to it. It has good material on Jeremy Corbyn and Theresa May in there. I think we tend to get all sorts of people coming to the show, so there’s a sense of different audiences, and people sometimes walk out but if you’ve got a sense of humour you are probably safe. However, if you consider Boris to be a good minister it’s probably not for you. What do you think would be Boris’ take on it all? I think he knows precisely what he’s doing. I think he’s aware he has occupied this position. We’ve never worried about him taking us seriously, or suing us. One of the morals of the show, and it has a few, is be aware of the clowns. It’s a very cunning sleight of hand to be that popular; you can get away with a lot more than other people. He’s an interesting one. How would you describe the Blowfish Theatre ethos in one sentence? 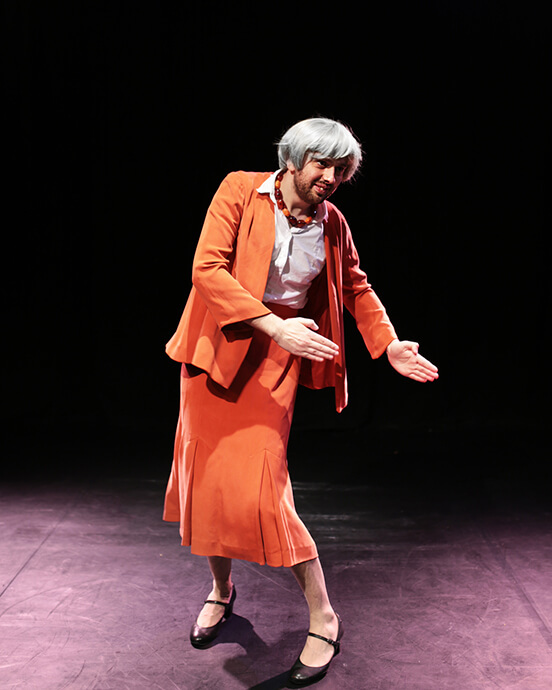 Boris the Musical 2: Brexit Harder will be performed at the Theatre Deli from 10-13 April.